On October 4th, 8 amazing chefs from Louisiana are partnering with some Charleston chefs and restaurants to give diners a taste of Louisiana cuisine. Having only been to Nawlins for the first time in my life back in June (for a friend’s bachelorette party. Cliché? Yes. Fun? Also yes), I have to say that I’m really excited for this event! I loved the culture and colors of New Orleans, which reminded me of a younger, wilder Charleston (not to be confused with Savannah, which tries a little too hard to be just like Charleston but will always be a pale imitation… but I digress). The idea behind the event is to give Charleston diners a chance to experience the distinct flavors and flair of Louisiana seafood and fare without having to leave the Lowcountry. Hopefully, you’ll fall in love with the food so much, you’ll book a ticket to Louisiana for vacation right away, or at least that’s what Louisiana Lieutenant Governor Billy Nungesser hopes, anyway. Chef Kevin Thompson brings his flair for American fare to Favorites Southern Kitchen at the luxury L’Auberge Casino Resort in Baton Rouge. Chef Jamie Lynch will host Chef Thompson at 5Church. John Valenzuela combines Cajun cooking techniques with his Marine Corps discipline experience and created Quebedeaux’s Boudin & Cracklins in Alexandria, LA, voted as one of the “Best 11 Restaurants in Louisiana.” Chef Chris Stewart will host Chef Valenzuela at The Glass Onion. Recently crowned Louisiana’s Seafood King at the 2016 New Orleans Wine and Food Experience’s Grand Tasting, Chef Blake Phillips offers a fresh and seasonal menu at Restaurant Sage in Monroe, LA. Chef Joe Dimaio will host Chef Phillips at The Darling Oyster Bar. Chef Jared Rising, named one of the American Culinary Federation’s 2014 Best Chefs of Louisiana, serves as culinarian of the Golden Nugget Lake Charles, managing the catering and banquets culinary team. Chef Greg Garrison will host Chef Rising at Prohibition. Inspired by the Northern Mediterranean style of cooking, Chef Alex Harrell brings a simple, clean take on southern cuisine to Angeline, located in the Hotel Provincial in the New Orleans French Quarter. Chef Kevin Johnson will host Chef Harrell at The Grocery. Chef Jared Tees, featured as a “Chef to Watch” by Louisiana Cookin’ magazine in 2004, continues his tradition of delicious, Southern-inspired meals at L’Auberge Casino & Hotel’s 18 STEAK in Baton Rouge, LA. Chef Shawn Kelly will host Chef Tees at High Cotton. Chef Marc Krampe brings his creativity and skills from several high-end restaurants specializing in French, Japanese, New American, and Thai cuisine to Social Southern Table & Bar in Lafayette, LA. Chef Jeremiah Bacon will host Chef Krampe at The Macintosh. Chef Jeffery Hansell, ranked as one of Louisiana Cookin’ magazines Chefs to Watch in 2015, brings upscale, gulf-inspired, southern fare to quaint downtown Covington, LA at Oxlot 9. Chef Forrest Parker will host Chef Hansell at Drawing Room. Sydney Gallimore: What should people expect at this event? SG: How does Louisiana seafood differ from Charleston? BN: Louisiana shrimp and oysters caught in the gulf have more of a distinct flavor. They’re bigger and fatter in the gulf; you can really tell the difference in both the taste and the texture. I think Louisiana seafood tastes better than seafood caught anywhere else, although I might be a bit biased. SG: What are you most excited for during the event? BN: I’m excited because the people of South Carolina are similar to the people of Louisiana; they’re friendly, they treat you like family, they tell you “hello” on the street. I think there’s a great connection and partnership and I think that’s why people from Louisiana love visiting South Carolina and vice versa. We experience new things, but we still feel at home. SG: What inspired this event / how did it come to fruition? BN: The idea came about because we do the great American Seafood Cook Off in Louisiana every year. We had 11 chefs down from all over the US this year to compete and we brought in outside food critics to judge. Seeing the fellowship among chefs from Louisiana and all over the country grew into us going into other places and bringing the fun of Louisiana into other cities around the country. 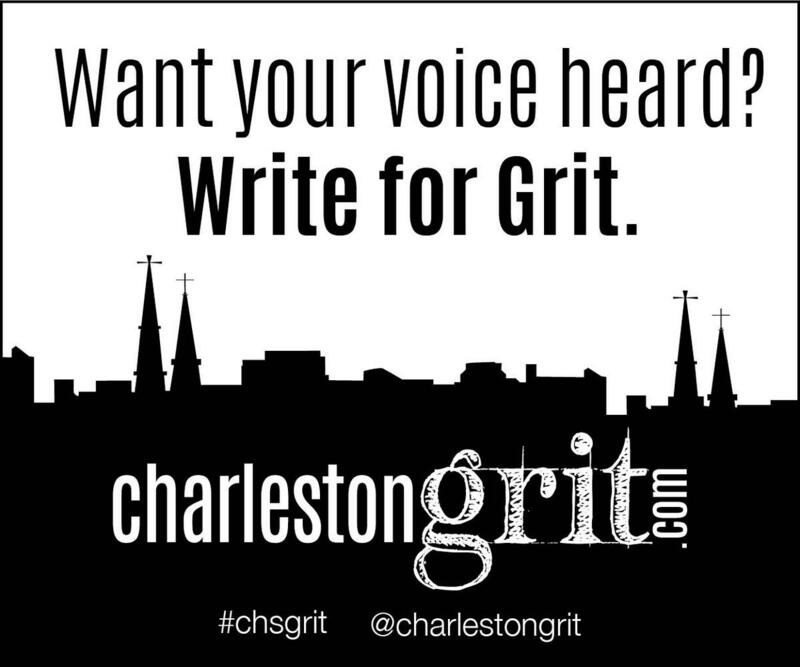 We hope to grow on this event every year and keep it in Charleston as an annual event. SG: I noticed there aren’t any female chefs that are included in the partnership, both coming from Louisiana and in Charleston. What the culinary atmosphere like for women in Louisiana? BN: Wow that’s very unusual. In recent years, we’ve had women learning the trade under great chefs like Emeril, going out and growing the female presence in the culinary scene here in the Louisiana. We had a number of female chefs participating in the GASC and we’re seeing a lot more women in the trade. We invited a number of chefs from around Louisiana and they were chosen based on their availability. You have my word that next year we’ll be sure to get more women involved. SG: Anything else you want to share? BN: I’m really excited because Charleston is a special place! I’m looking forward to the opportunity to meet new friends and experience some of the great new restaurants in Charleston. I think it’s a great match and a great partnership and I’m hoping for it to boost tourism in both Louisiana and Charleston as well. Hopefully it’ll be a long great tradition!